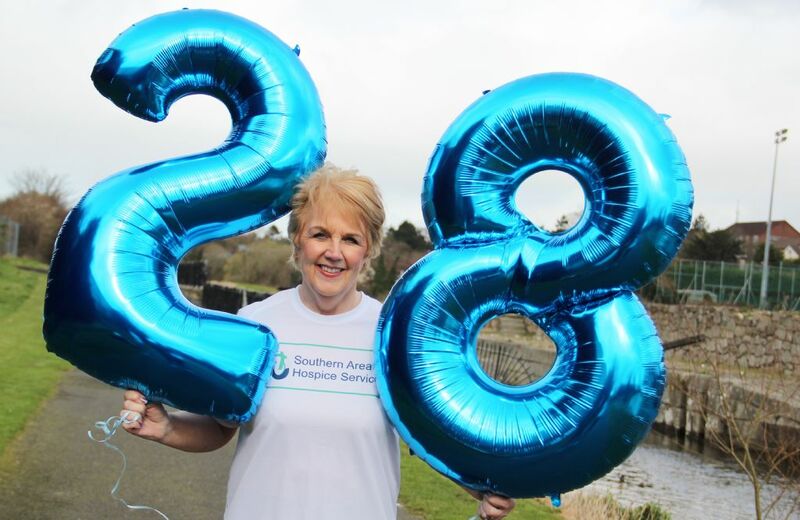 Southern Area Hospice, alongside committed Hospice Volunteer Deborah Kennedy are celebrating the 28th Annual Towpath Walk set to take place on Sunday 14th April. Deborah has been voluntarily organising the walk all these years and to date has raised a tremendous £297,575.09 for her local Hospice services. She hopes to hit the £300,000 mark this year but needs your help! Deborah and Hospice staff warmly invites all towns and communities in the Southern Health Board to join in for the 6k walking challenge, setting off at Newry Cue Club at 3pm sharp. All participants will walk on the towpath towards Steenson’s bridge and back again, with refreshments given along the route and also served after the walk at Altnaveigh House, Belfast Road, Newry for all walkers. Registration is free, simply ring Fundraising on 028 302 51333 to register you or a group or for more information. Alternatively, you can register for free online at Eventbrite by searching ‘Annual Hospice Towpath Walk’. We only ask that if each walker can take a Hospice sponsor card and try to raise a minimum of £20 each and together we can support local patients and their families step by step. Pictured is Event Organiser Deborah Kennedy.